A multi-functional dream come true for small spaces. Our Amish Alcott Pullout Console Table With Hutch expands into a hardwood dining table when needed. Your Alcott Pullout Console Table With Hutch is the perfect solution for holiday seating. Handcrafted at your direction, this lovely expansion table also includes a spacious cabinet for storing dinnerware and stemware. 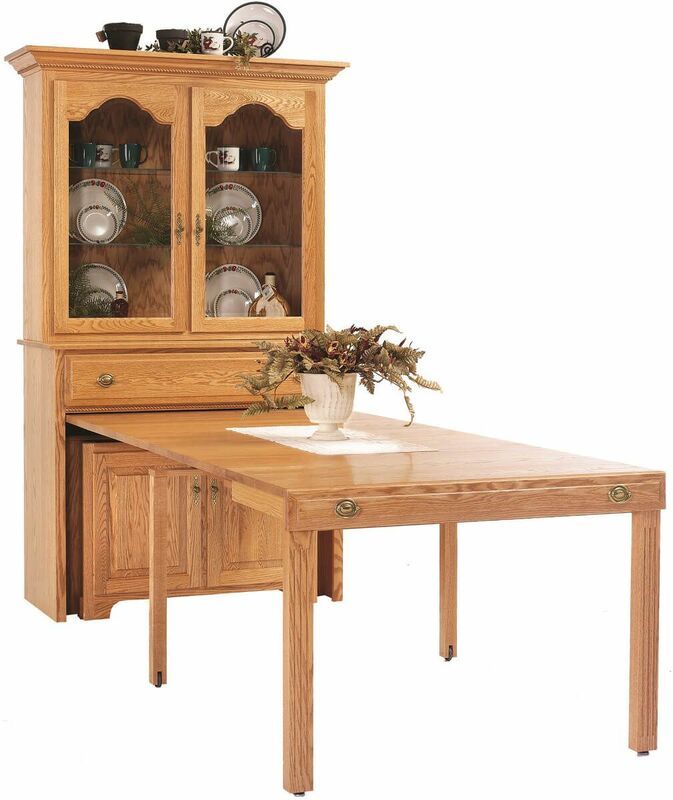 Crafted from solid wood to ensure a lifetime of service, your hutch with expanding table is a clever, practical necessity for your dining room. 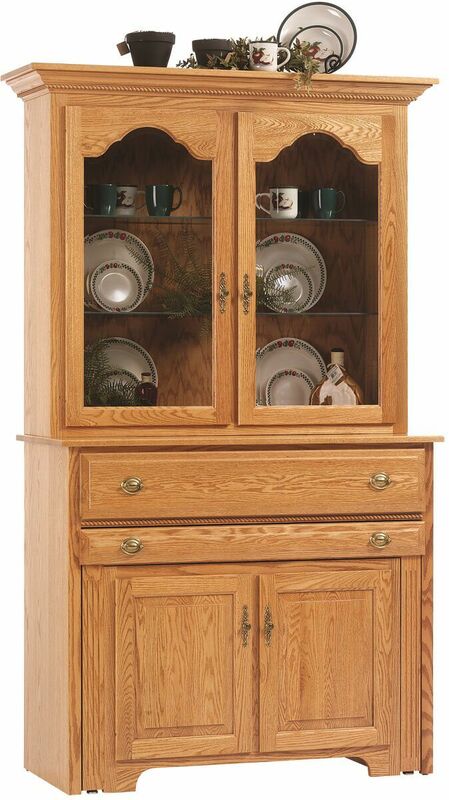 While a handcrafted display hutch in included, you may choose to order the storage buffet only. 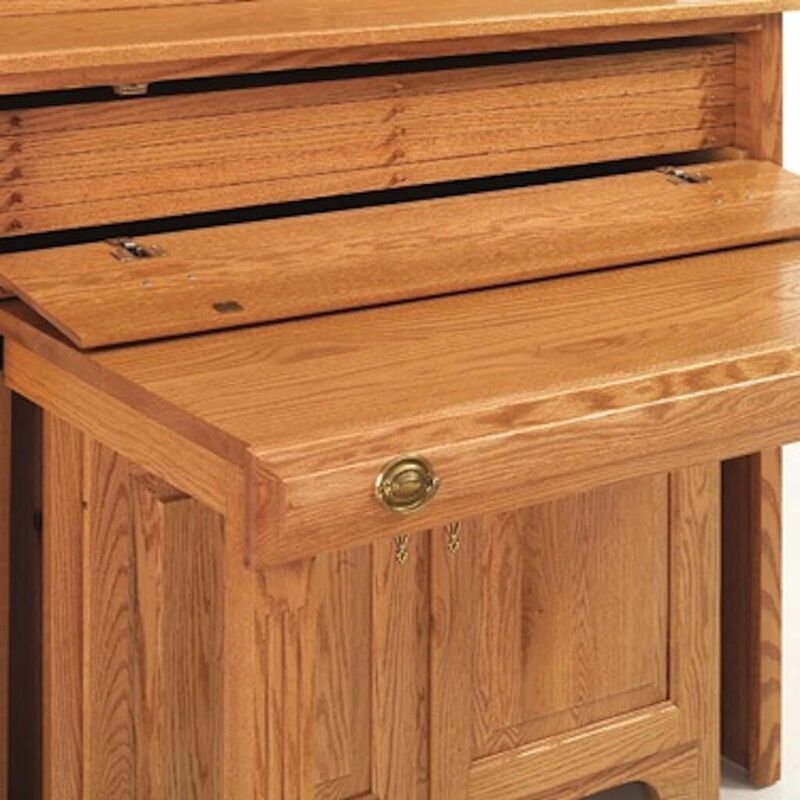 This handy cabinet stores all of the table's extension leaves for easy access. 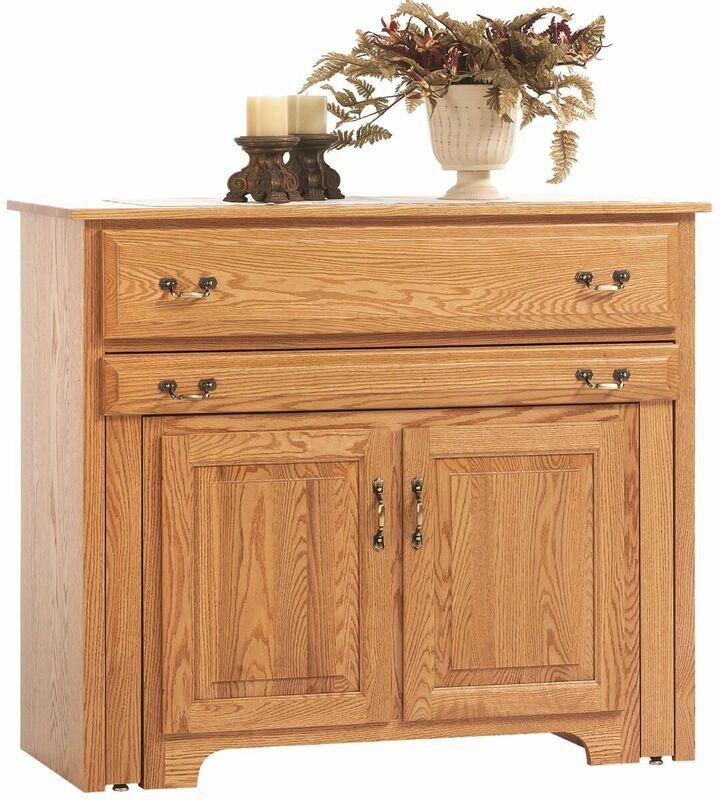 Let Countryside begin your Alcott Pullout Console Table With Hutch today. If you prefer the expanding console as pictured, consider Oak hand-stained Summer Sun.